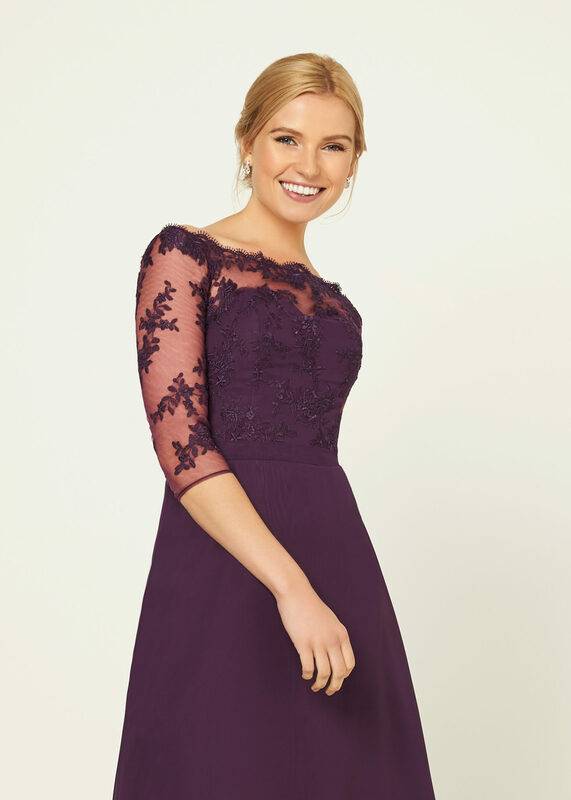 A striking a line style with a sweetheart bodice, illusion lace neckline, illusion lace short flutter sleeves and finished with an illusion lace keyhole back. Photographed in Apple Red. Available in Empress Chiffon colour ways. Zip back and buttons. 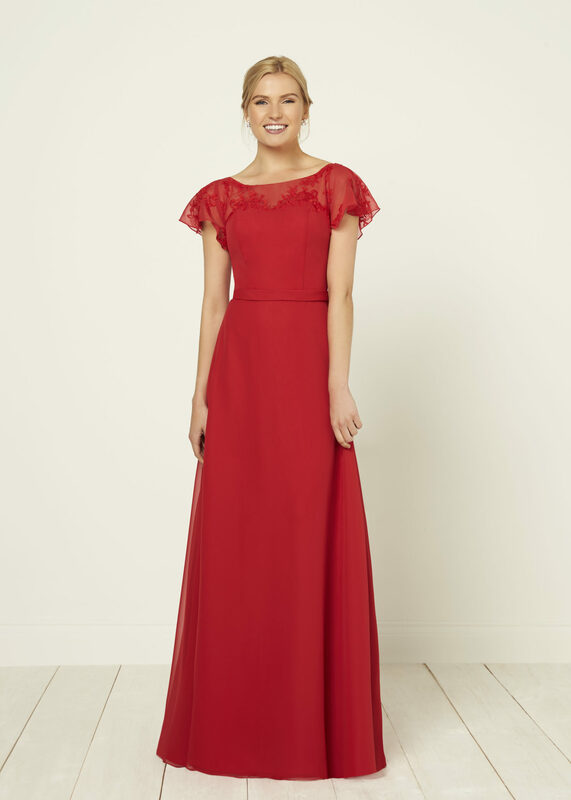 This is such a flattering choice for your maids, perfect for a variety of shapes and sizes.